Traveling to King's Landing or the Wall? Bring your supplies in this faux leather and weathered canvas mini messenger bag inspired by House Stark and the rugged North. 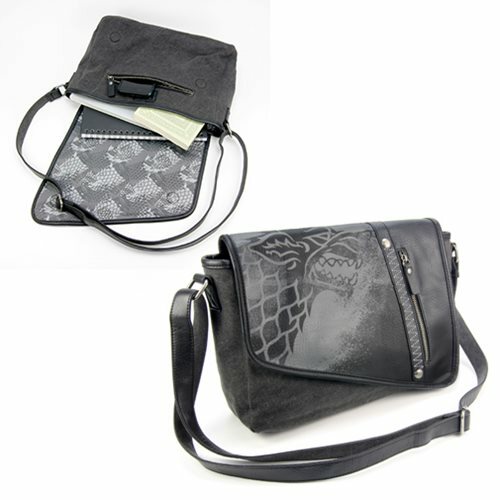 This Game of Thrones House Stark Mini Messenger Bag features the Stark sigil printed on the front flap. The interior padded pocket fits most tablets and stay organized with the zipper pockets on front and body, and interior pockets. The bag has an adjustable shoulder strap and measures approximately 13-inches x 10-inches x 3 1/2-inches.